Bat poop matters. So says a University of Tennessee, Knoxville, study examining a little-known species, the Caucasian parsley frog, and its reliance on insects that breed in bat guano. Vladimir Dinets, UT research assistant professor of psychology, conducted a study of the frogs in remote caves hidden in densely forested mountains near the border between Russia and the Republic of Georgia. Until now, virtually everything that was known about the little frogs' natural history came from studies in breeding pools, where they congregate in spring. Dinets found that in the summer, most of the frogs find shelter in limestone caves, although some probably wander outside at night. The frogs showed significant preference for caves with bat colonies, most likely because insects breeding in bat waste provided a rich source of food. "This is yet another study showing how critically important are bats for the environment," Dinets said. "Their role is not limited to controlling agricultural pests; entire cave ecosystems with dozens of species depend on bats for survival, and many of these species are yet to be discovered." The study was recently published in the Herpetological Bulletin, a leading scientific publication devoted to herpetology, the study of amphibians and reptiles. 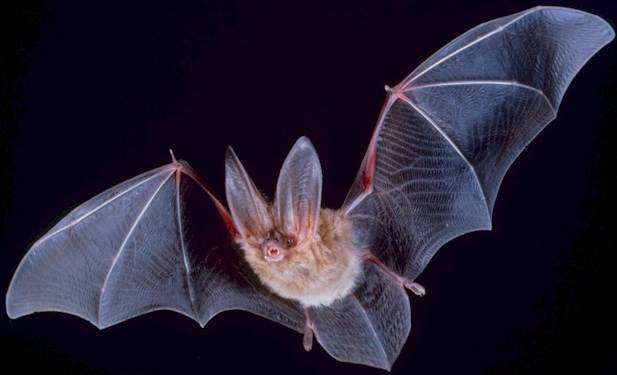 Dinets noted that as bat populations in eastern North America are being devastated by human-introduced white-nose syndrome, the disaster is likely to cause a cascade of extinctions and widespread ecosystem destabilization. White-nose syndrome is of Eurasian origin, but it is a problem only in North America because bats here are not adapted to it. "The study shows the importance of protecting even small bat colonies," Dinets said. He added that the Caucasian parsley frog is of conservation concern and there have been attempts to breed it in captivity. "Knowing more about its habitat preferences is important for protecting the best habitat and for future reintroduction efforts," he said. Can habitat protection save our disappearing bats?